Our Hydraulic nut splitting services offer an easy, quick and efficient way for cold cutting of seized up nuts without any damage to the studs. 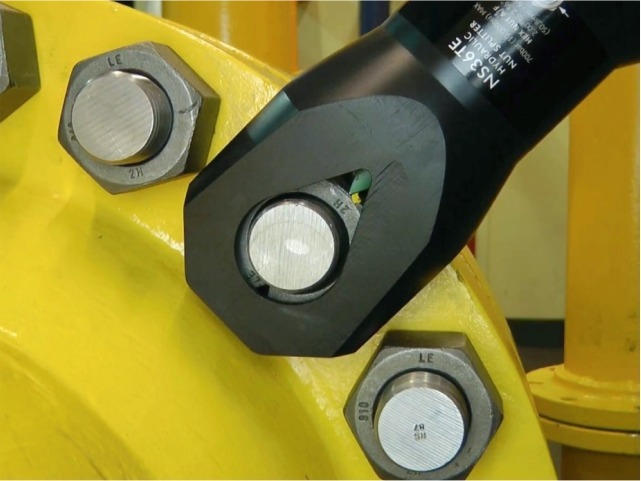 Nuts of connections made tend to corrode, erode or seize over time, which regular torque tools cannot loosen. We do not use hazardous procedures like grinding, sawing and flame cutting. Our wide range of nut splitting tools cover nut sizes ranging from 32 mm to 100 mm. One chisel can spilt up to 100 heavy hex nuts. Ergonomic handle to place the nut splitter. Can be used in any position, including inverted applications.